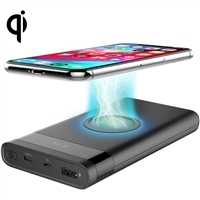 iLuv MYPOWER10QBK 10,000 mAh Portable Qi Certified Wireless Charging Battery Pack with a USB-C, a USB-A port, 3 Way Charging, Ultimate Safety, Charging with Case On, Smart Charging, and 15W Output. iLuv IAD545CULBK 45W USB Type-C Faster AC Adapter with 6ft Cable, Smart PD Quick Charge Technology, Advanced Safety, 100-240V, and Universality for Laptops (PC/Mac), Nintendo Switch, Smartphones and Tablets. iLuv myPower 50L Compact Portable 5000mAh Power Bank with built-in lightning cable and additional USB charging port for Apple and Android devices. iLuv IAD8X15ULBK 15W Qi Certified V1.2 Fast Wireless Charger with 7.5W Support for Apple iPhone X/8/8 Plus, QC 3.0 Wall Charger, Safe Charge through Most Cases, and LED Indicator - Works with Other Qi Enabled Devices. 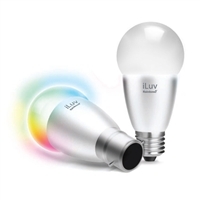 ILuv IAD730WHT Dual USB Wall Charger + Charge/sync Cable For iPad/iPhone/iPod. Made for iPod touch (1st, 2nd, 3rd, and 4th generation), iPod nano (1st, 2nd, 3rd, 4th, 5th, and 6th generation), iPod classic, iPod with video, iPhone 4S, iPhone 4, iPhone 3GS, iPhone 3G, iPhone, iPad 2, iPad. iLuv MYPOWER10CSI myPower 10,000 mAh Slim Portable Battery Pack with USB Type-C and USB port. It is a slim portable battery pack featuring smart battery design that prevents overcharging, overheating and damage to your device. Keep your smartphone or tablet fully charged no matter where you go with myPower 5200. This portable battery pack features a battery capacity of 5200mAh and is capable of charging both Apple and Android devices multiple times. 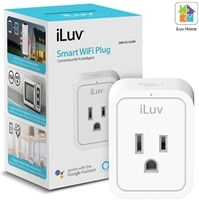 iLuv SMPLUG1ULWH Smart WiFi Plug, Mini Outlet Up To 1875W with WiFi Enabled Remote Control, Multiple Schedules, Timer, Grouping, Scenes, ETL, FCC, and Voice Command via Alexa or Google Assistant. No Hub Required.